Remember S’Mac? I mentioned it briefly during my review of quite possibly the most gluttonous day of my life here . Well there was so much food eating going on that day I never gave it a proper review and it truly deserves one. The other night we ordered two pans- the all America and the Alpine. Let’s start with the All America. This is probably along the lines of what you would picture when someone mentions mac and cheese. 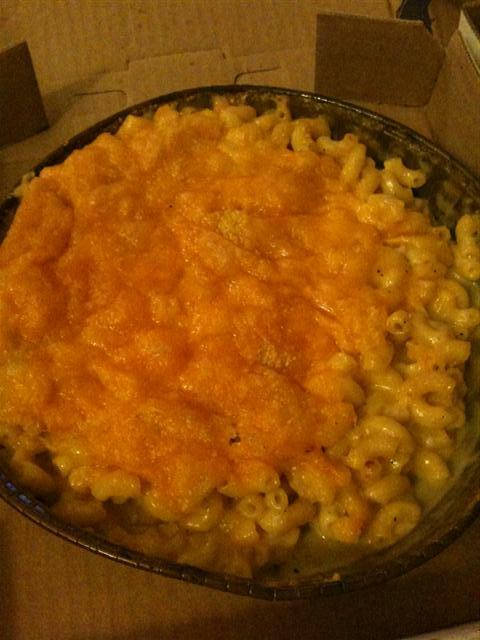 Tons of cooked elbow macaroni topped with a blend of American and cheddar cheeses. 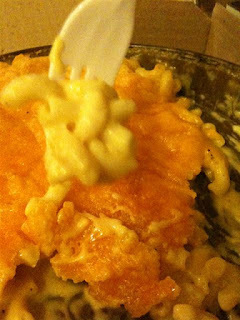 The top crust of cheddar cheese adds a nice crunch to the dish while the melty American adds into the creamy factor. This is one awesome macaroni and cheese. An upscale version of the classic “Out of the Box” my Mom used to make and oh so much better. The Alpine is a little different. Going more towards a Swiss style they blend the elbow macaroni with Gruyere cheese and slab bacon. At first I didn’t like this one. I thought it was kind of boring. The cheese wasn’t as strong as I was expecting and the bacon felt a little low on the salt. However once I got to more of the middle of the dish it started to fall into place. 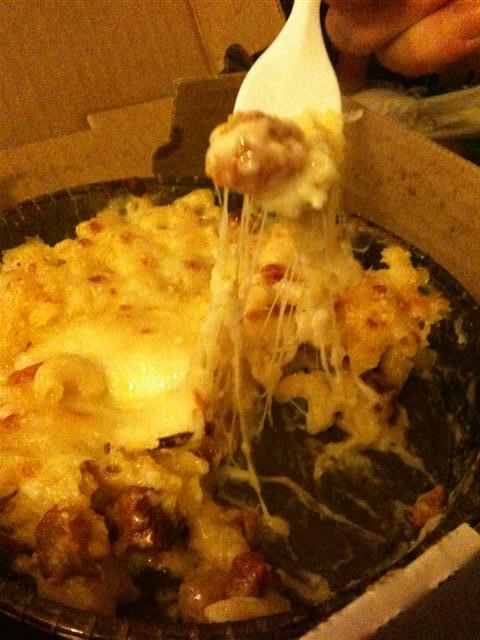 Here the cheese and bacon were much more prevalent and the chewy stringy gruyere goodness really began to shine. Just looking at this shot makes me want to dive into another bowl. Again-not your mom’s mac and cheese but really, really good. 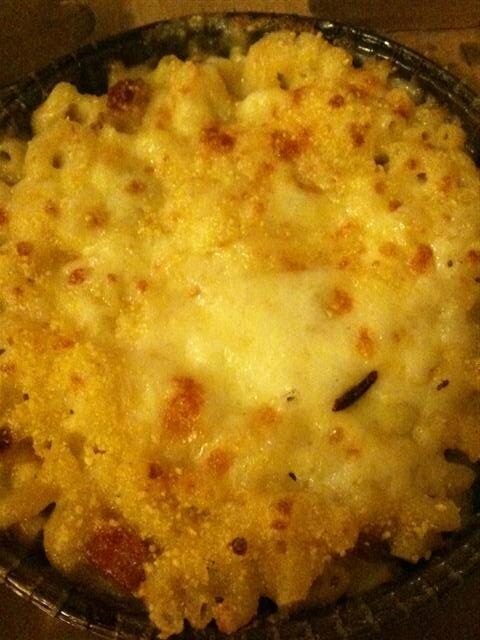 Overall if your craving some comfort food S’Mac is always a good bet. I think my favorite is still the Napoletana with tomatoes, garlic and mozzarella, but they all have a special place in my heart. Now if they would just tone down the décor I might go inside.